Although it may not feel like it just yet, there's only a few short weeks left before we can finally say bye-bye to Winter and a big, warm, long-awaited hello to Spring! 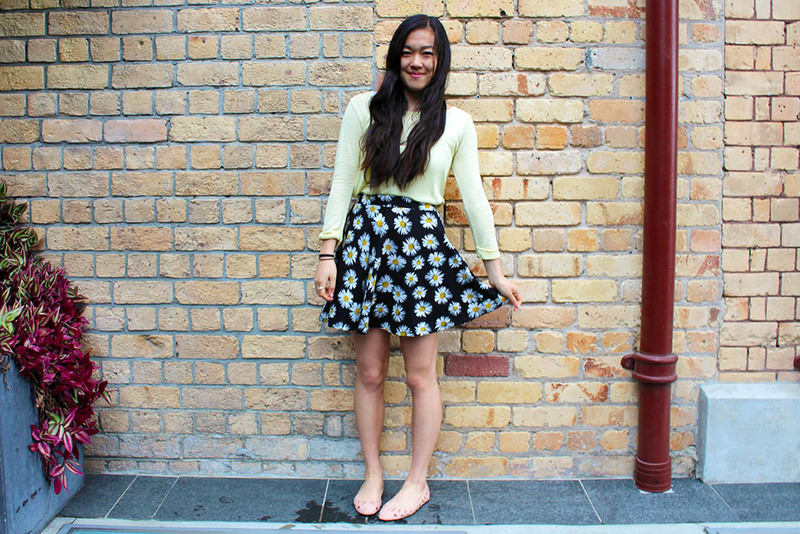 In light of this, I've had the opportunity to take part in a Blogger Challenge with nzgirl and Garage from the Warehouse. The aim of the game is to put together two spring-inspired outfits using pieces from Garage's new season collection; here's what I've wrangled together for my first look. 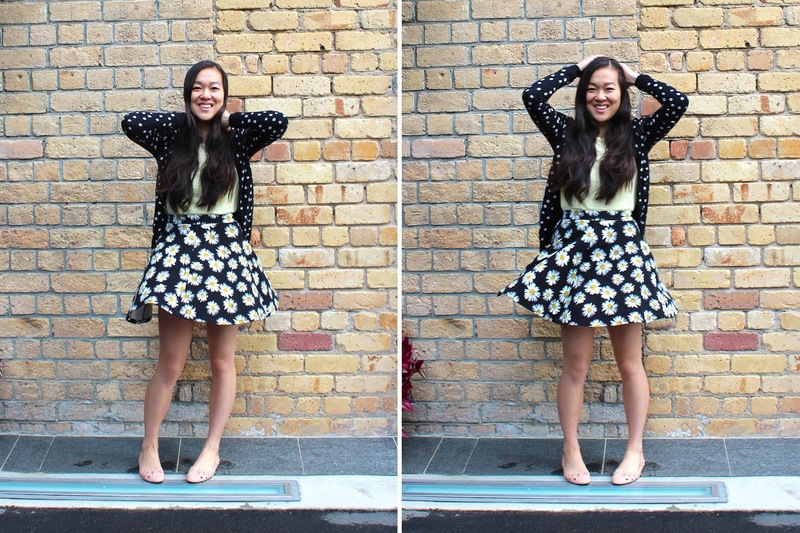 I was immediately attracted to these adorable daisy prints, which lead to a daisy overloaded print-on-print look by pairing this cardigan and skater skirt together (both $15 each by the way! Talk about bargain.) The different sizes of the prints adds some dimension to the look and helps to tone down the clashing - a great way to pull off the print-on-print trend in a more subtle way. 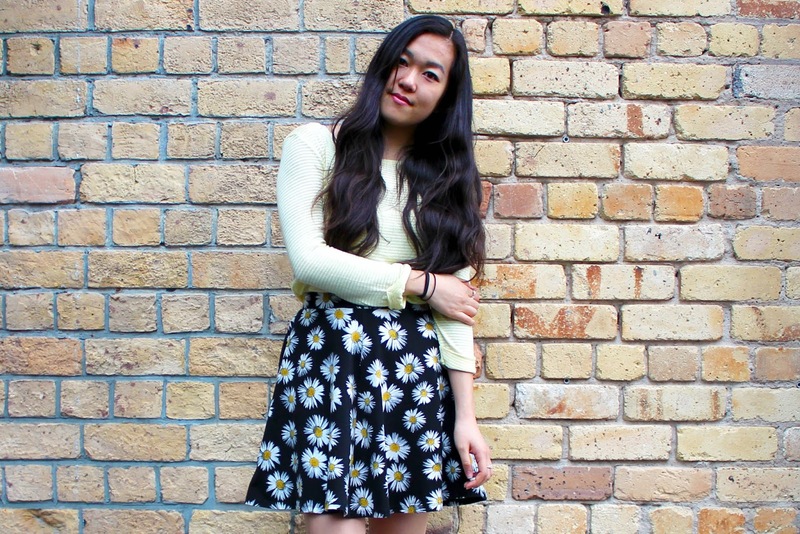 I wore these two pieces with a Garage striped top that is oh so soft and super comfortable; the dreamy yellow colour really compliments the daisy centers. For shoes, I chose these pretty pink Garage ballet flats to keep with the pastel theme. I love how the laser cut-out gives them some added detail, but at only $20, they're still super affordable for poor students such as myself. This outfit is so lovely!! 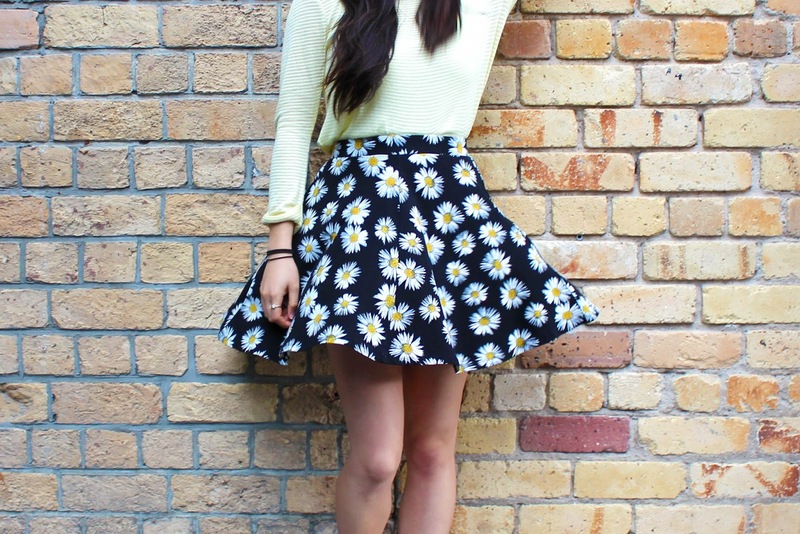 Your skirt is just too cute :) I can't believe you got such a great deal! I hope the weather warms up for you soon!